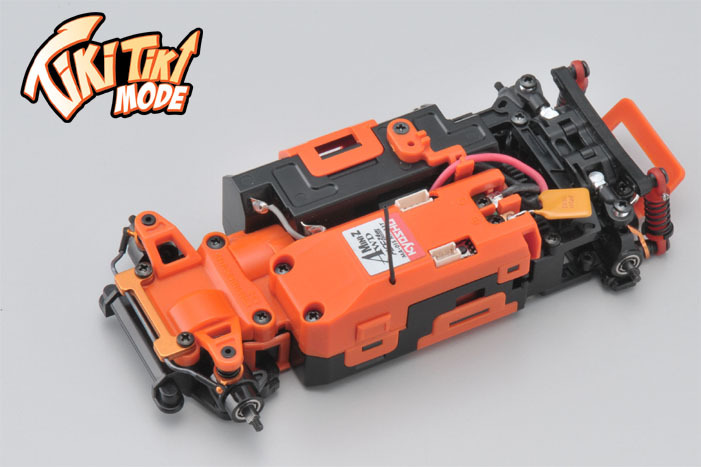 Kyosho Mini-Z MA-015 AWD DWS SP RC Chassis Set (2.4GHz ASF) with Chase Mode - Limited Edition Orange. This chassis set can run grip and drift driving! Precision shaft driven AWD drive train is complimented by the popular optional rear double wishbone suspension (DWS). A range of high-value optional parts including front/rear stabilizers, inner tube shocks, X SPEED Motor V and ball bearings come installed on this limited edition orange chassis.